Here's a quick survival guide to Paradise IMF 2016. A music festival like no other, showcasing both foreign and local artists of our music industry across different genres. The weather is good, and not expecting any rain today. Here's some of the items you need to keep in mind to survive and enjoy almost 16-hour music festival. This is Paradise IMF 2016! 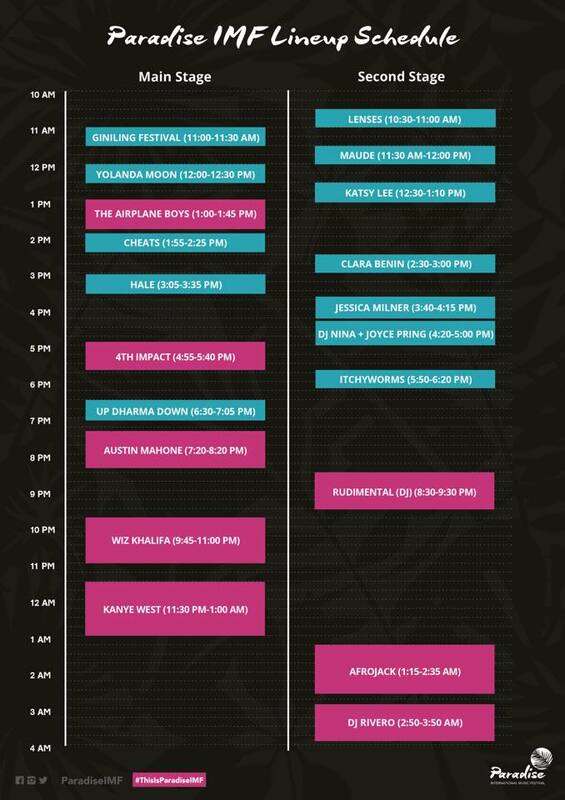 Here's the Full Paradise IMF 2016 Lineup Schedule. The event proper starts as early as 11:00AM. Expect that there will be traffic going in and out of the location. So be there early. Yes the early bird catches the worm. You'll get to choose the best location to enjoy and listen well. You can download the Paradise IMF 2016 Lineup Schedule on your phones, so even if you're offline, you can keep track of what's next in the program. You also print it to have your own hard copy. 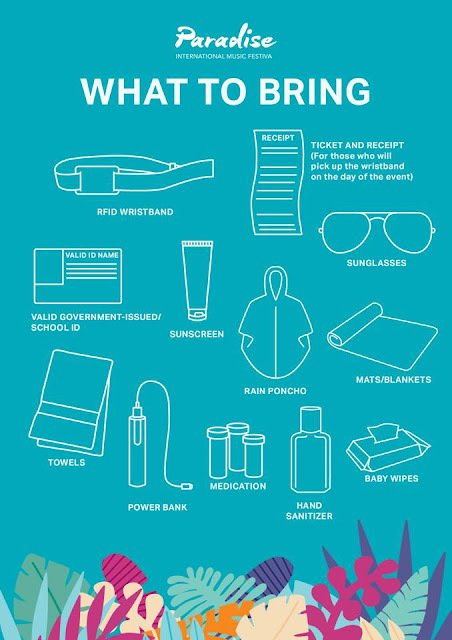 Aside from your smartphones, prepare bring basic necessities you'll need to the festival. Sunglasses and sunscreen to protect eyes and skin are a must, so bring them with you. 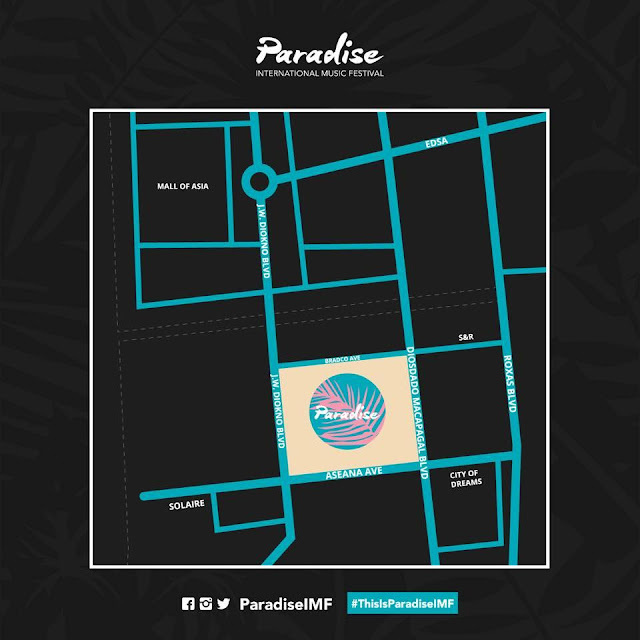 Paradise IMF 2016 starts at 11 AM and the sun sets at 6.09PM( as per Google). You don't want to get toasted but just get that fine tan lines. Bring your valid government-issue ID/ School ID to verify your identity. In case of rain, bring a lightweight raincoat or rain poncho to keep yourself dry. Mats and Blankets are allowed so you can sit on the ground dirt-free in case your legs get tired and to avoid those spider veins as well. In a nutshell, it's best not to bring things that will hinder you or other Paradise IMF - goers to enjoy the music and have fun. Weapons of any kind, deadly or not, even toy replicas are not allowed. You can bring your smartphones but not selfie sticks or camera tripods. Don't bring any food nor picnic baskets, there are food stands available to fill up our stomachs. To our pet lover friends and followers, leave your baby dolls at home. 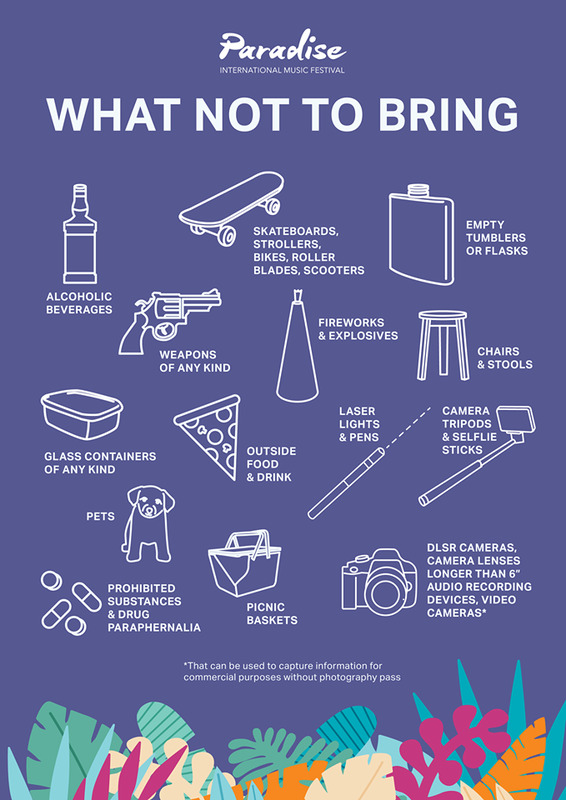 Hoverboards, skateboards, or any portable rides aren't allowed. Leave 'em in your cars or best not to bring them at all. Don't get cocky and be conscious to other attendees. It's always best to know the ins and outs of the venue. Whether you're going alone or with your friends its easy for you to know where you need to go in case you need to buy food, get first aid medication and the likes. 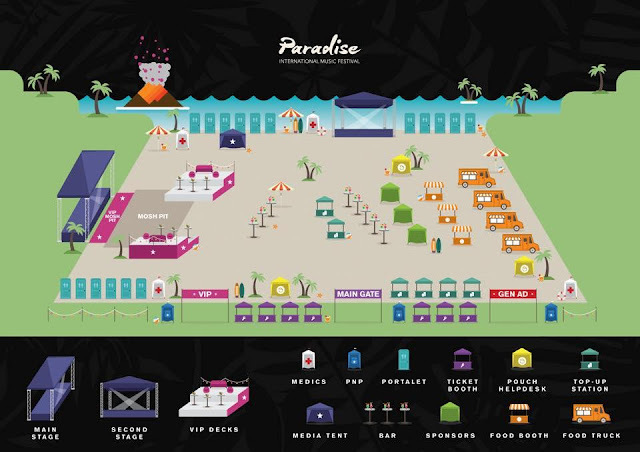 The Paradise IMF 2016 stage and venue is just sitting right beside City of Dreams. You can either take the route from Mall of Asia or Diosdado Macapagal Blvd. from EDSA.